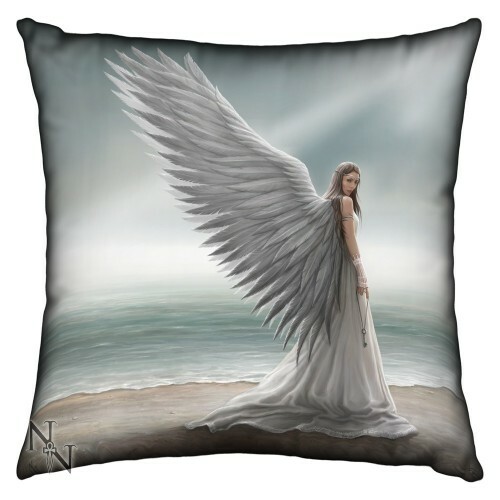 Designed by the brilliant Anne Stokes this Spirit Guide cushion depicts an Angel on a beach, surf gently lapping at the shore. She looks over her shoulder at you, large white wings matching her white dress. In one hand, she holds a key by a piece of string. In the distance, the ocean is hidden by mist.